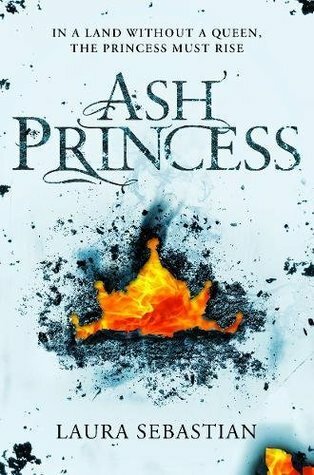 Ash Princess was an addictive page-turner that held my attention from start to finish. Whenever I had to put it down I was always eager to return. I even took to reading it on the Kindle app on my phone when I was out, which is something I never do, because I can't stand reading on anything but my Kindle. A warning to readers who are not a fan of books featuring violence and dark subject matters, Ash Princess doesn't shy away from either. The plot sounds like a typical YA fantasy what with the conquered land, a princess out for revenge, and the "love triangle" with her rebel ally and enemy Prinz. However, despite the tropes I found the world Sebastian has created interesting and not at all cliche. Theo's inner struggle and character development was really well done. She was forced to make some hard decisions, and I was fully rooting for her throughout. In regards to the "love triangle" (and I say love triangle loosely) I honestly didn't mind it. I can't believe I'm saying that, but it's true. It's quite possibly the only love triangle I've read that hasn't made me mad and want to DNF the book. I think it's largely due to the fact that it's not your typical love triangle. Theo isn't constantly mooning over the two love interests. She has fleeting thoughts here and there, but it doesn't overtake her main concern: overthrowing the enemy and reclaiming her land. Also, to me at least, it's obvious where her heart truly lies. Overall, a very compelling read. I can't wait for the sequel! OOh nice! I was keeping an eye on this one!! Glad to hear it was a good read!! Might have to pick this one up sooner than anticipated! Great review! Forged Fantasy Hack Tool GEMS - Guide online Strategy 2019 | Generate 15000 Gems a day.